adidas is giving the people what they want with more Primeknit NMDs, and this could be your best chance to score them early. Earlier this week, the sneakers were confirmed for a global release this weekend, although &apos;heads in the U.S. will have to wait until later this summer. 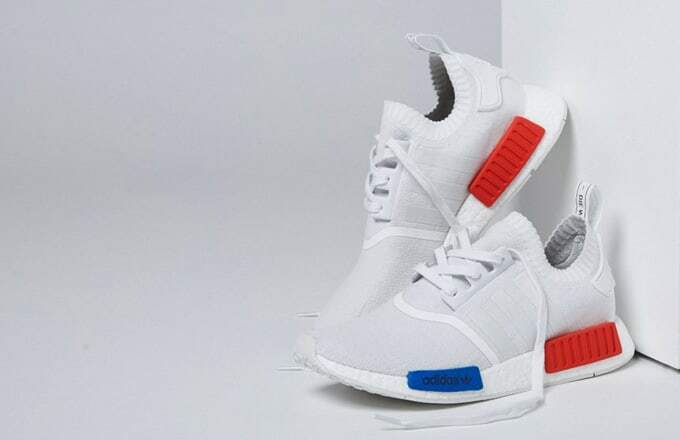 This Primeknit version of the NMD uses the same red and blue EVA plugs seen on the original colorway from last December, but ditches the black knitted upper for a stark white look, one that&apos;s perfect for summer. Here&apos;s the deal. As mentioned, these adidas NMD PKs are still a few weeks away from dropping stateside, but they&apos;ll be hitting select overseas stockists this weekend. As it stands, your best chance to get these early is through End&apos;s Launches system, which will allow selected customers to purchase the sneakers through a direct link on release day. Sign up here for a chance to cop.